FOUND BLOG Just In New Designs for Christmas! After we had such a great response from y’all this season, we couldn’t help but bring in a couple of gems from your favourite labels before Christmas! 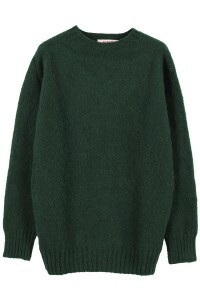 This design was a hit in pink and red so let us introduce to you the forest green brush wool crew sweater by YMC! 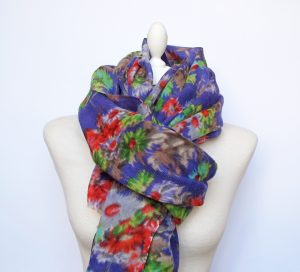 The Floral Mix scarf in beige was such a hit that we thought we’d reprise this Impressionist print of flowers in purple. The green and red compliment the lavender, brown and taupe to make a bright design that flatters many skin tones. This season French label Ba&sh has frankly, hit it out of the park. Wool mix dresses that are nice enough to wear to the office but look sharp with high shine jewels and heels. The Domingo dress is a new addition to this collection and with it’s shoulder pads gives structure and makes so many of us look more put together. 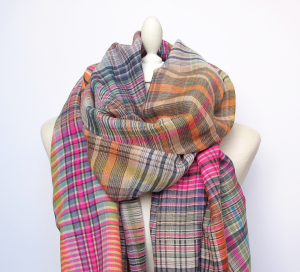 Not that we should have favourites, but heck we’re only talking scarves here so let’s go out on a limb and say this a favourite. 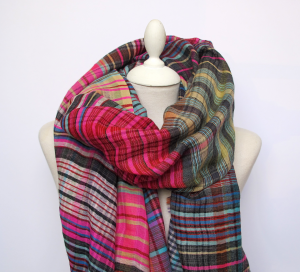 The red and pink combined with black and all the other colours in between make for an awesome plaid scarf!